What are the financial benefits of trees in our cities? The Financial benefit for every $1 invested in trees in Portland is $3.80. Adding trees to our urban landscapes can save the city money and potentially reduce taxes. A tree in Portland adds an average of $7,020 to a home's sale price. Mature trees that are maintained and in good condition can easily add even more value. At the same time, trees in poor condition can detract from your home's value. A tree planted near your home can reduce heating and cooling costs. 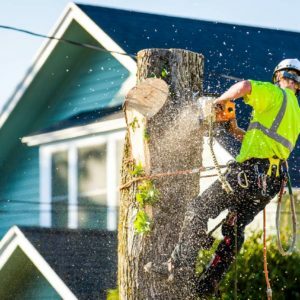 Portlanders save $750,000 per year annually in avoided energy consumption due to our street trees alone. How do trees in our cities help the environment? The average tree produces 260 pounds of oxygen a year. Two trees on average produce enough oxygen for one person to breath. Our urban tree canopy in Portland intercepts 1.3 billion gallons of storm water a year, preventing urban runoff from polluting our rivers and streams and saving the city $36 million dollars waste processing costs. A mature oak tree hosts 10 to 15 pairs of nesting birds. The average lifespan for an urban tree is only 10 years, where as a tree reaches it's most productive age at 20 years. The key to maintaining a tree in an urban landscape over time is proper maintenance by an ISA certified arborist.